Another weekend, another stop on the Dragonball North American Tour! 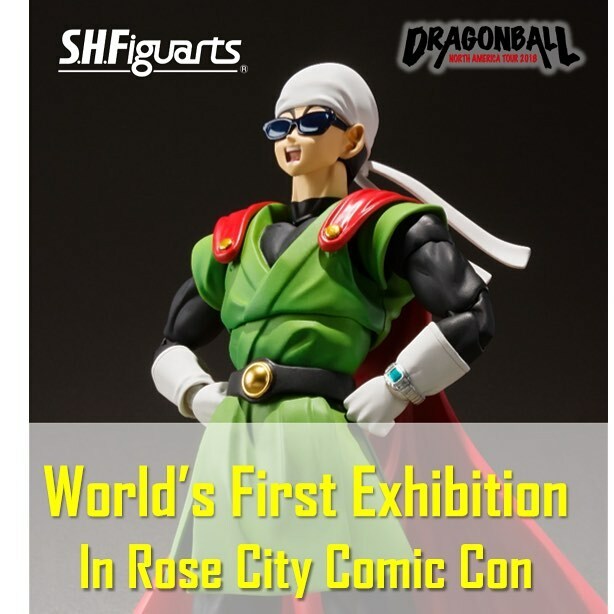 This weekend at the Rose City Comic Con Tamashii Nations have shown off another look at S.H. 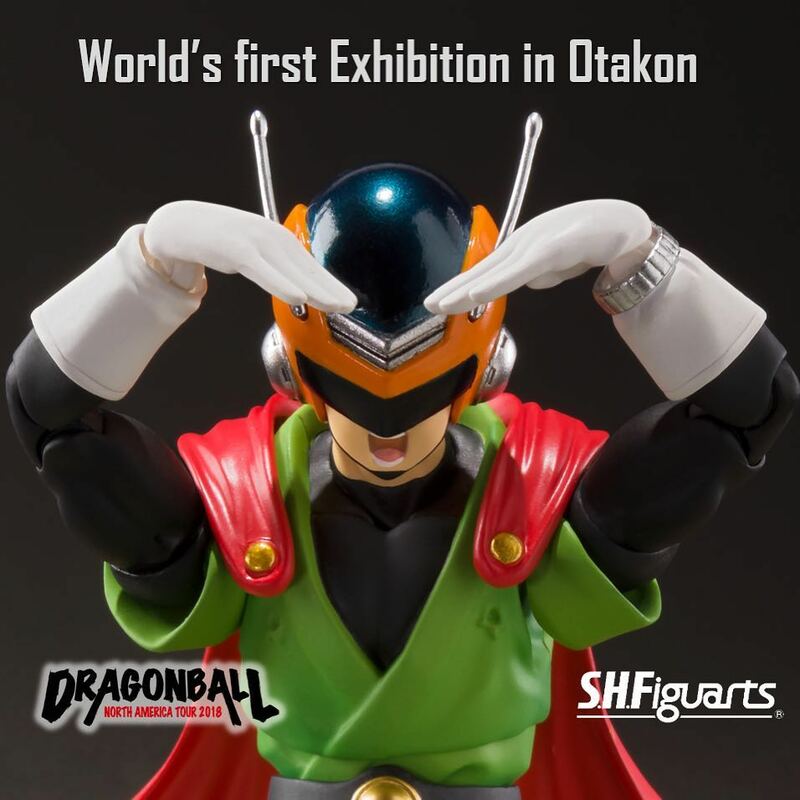 Figuarts Dragonball Z Great Saiyaman, and this time he is sporting his non-helmeted head sculpt! He’s super cool rocking his shades and a do-rag like a boss. Read on to check out the shots, and if you are at the show make sure to snap some pics are share with us! I was really hoping this one was next. I've been watching the dubs as they come out and they are finishing the arc where Mr. Satan is making a Saiyaman movie. It feels like perfect timing on the heels of the Mr. Satan reveal at SDCC. I don't collect DBZ and didn't really watch the show but is it me or in the last year have they really dug deep and releasing like tons of different characters? Instamashii seems like there's a new reveal every month. It seems great for fans of the line. Yeah, they went from 2 or 3 a year to one a month. And now that they've caught up with all those "maybe we'll do this one day" ones that were sitting in wait, if they wanna keep up the one a month releases they gotta reveal one a month too. So yeah, I'm super happy right now. There's still like 3 that I don't even have yet, Buu just dropped in Japan. I guess this could be seen as good or bad for collectors like Tony who have committed to the entire line. 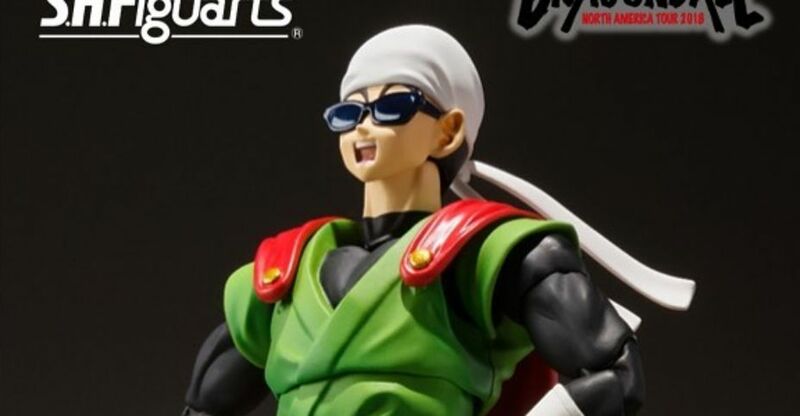 Either way Great Saiyaman is the harbinger of a terrible time in Dragon Ball Z (at least in my opinion) and although it looks as though Tamashii has captured the look of Gohan in this outfit perfectly, I believe this will be a pass. TLDR: Is mainstream appeal causing a surge of new figures? WILL BARDOCK BE ANOUNCED AT FAN EXPO? And im passing on the not so great saiyaman. Not that I don't mind this figure, but there are other MUCH more desirable figures to be released FIRST PLEASE. Ultra Instinct Goku, Jiren, Super Buu, Majin Buu final form, Toppo God Mode, Bulma from present day or even DBZ, Pan, Bra, Videl, Goten and Kid Trunks, SSJ4 Goku/Vegeta. I'm sure there are others I'm forgetting too. I've never been a "Great Saiyaman" fan but the fact they are covering this and doing it this year, with already all the other figures they have been pumping out for the DB/Z/S franchise really fills my heart with joy, but leaves my wallet empty. YES!!! Great Saiyaman has been one of my dream Figuarts DB line figures, up there with Ginyu. They've really been knocking it out of the park with their line reveals, new Broly, Android 21, Satan, and now this. I'm incredibly excited for the future of the line. Definitely picking this figure up now! Removeable cape, 2 regular heads, 2 hero heads. Pretty damn good release so far. Does anyone else not like the weird "bullet holes" or whatever he has going on on his green tunic? I have found like...one image from the anime that shows them, and they're a lot less obvious there. I hope they're removed from the final version. 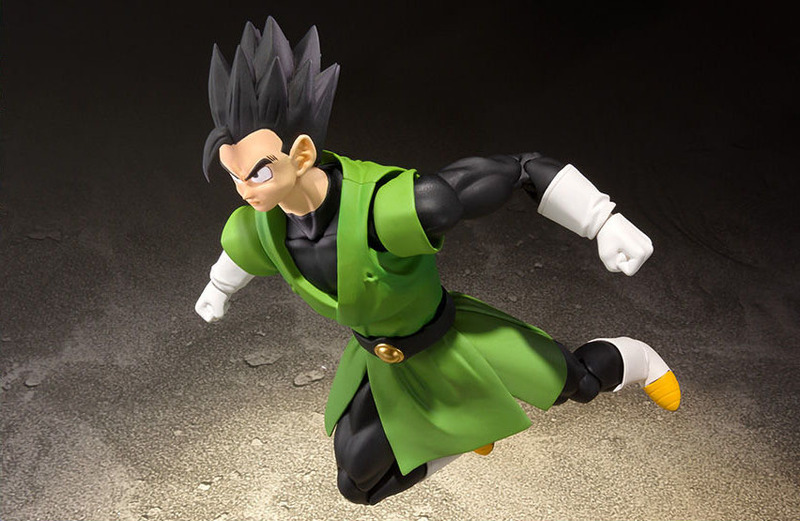 Otherwise, this might be one of the best looking figures they've made, and I would get it just for the base Gohan head alone! This figure is looking good, but I can't stand those "bullet holes". Is it where the cape is supposed to plug in? Either way it really, really bothers me for some reason. So much so, that I probably won't get the figure because of it. Satisfied with my custom version of this without the green tunic. I made an account just to comment on this specific thing but it looks like it's a manga specific detail, which the figure is basing its look from, from looking at the hair at least. Not sure why that was the choice here but knowing that it bugs me slightly less. Will it be released later in the states as well or only in Japan as a web exclusive? It should see a U.S. release from Bluefin. Thanks! I saw it for preorder on amazon now!